Capacitance Meter for OFET measurements. 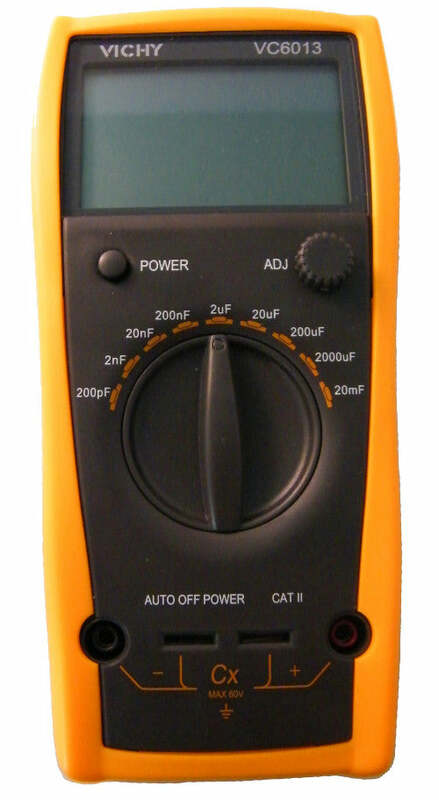 Ideal for use with a probe station for taking OFET capacitance measurements. Take a look at our short guide to capacitance measurements here. You can also view our demonstration video below. In this video we demonstrate how to quickly and simply measure the dielectric thickness of a silicon oxide layer in an OFET by using the Ossila capacitance meter and a pair of probes. When the probes aren't in contact with the substrate the stray capacitance is 224 nF which increases to 1018 nF of total capacitance when the probes are in contact with the surface. The difference of 794 nF corresponds to the actual capacitance of the contact pad and a dielectric thickness of 300 nm in agreement with the oxide specifications -contact us for calculation sheet and conversion. The video also shows a close up of the probes being used demonstrating that either sharp tungsten (or steel) probes or gold-coated spring-loaded contacts can be used to make good contact. Our capacitance metercan be connected easily to ourprobe stationbut also to most other probe stations via the correct inter-series adapter.Contact us now if you have any questions.